There are many reasons to work with a personal trainer from NIFS, and in this blog we cover the top five: forming habits, fun, accountability, comfortability, and safety. One of the many benefits of working with a NIFS personal trainer is forming healthy habits. When you decide to start personal training, you and your trainer will being with some goals by picking a set number of days and times to meet each week. Your NIFS personal trainer will encourage you to stick to this schedule every week in order to develop a habit. By sticking to this new habit of “every Monday, Wednesday, and Friday at 1pm, I will work out with my trainer,” you will start to develop the habit and some consistency. Eventually you will feel more energized (and hopefully excited) around that time every week and look forward to the health benefits that you are gaining. Going to group fitness class and exercising can be fun as well, and it is something that many people prefer. Your NIFS trainer will ensure that your workout is educational, appropriate for your goals, safe, and enjoyable! When doing any kind of physical activity, it is important that you are doing something that you enjoy. When you are having fun with your workout, you will more than likely perform better—and most importantly, come back for another session! Having a NIFS personal trainer also provides a sense of accountability. Your trainer can help you stay on top of your appointments by sending reminder cards and personal phone calls. It is also encouraging to know that someone is counting on you to be there, which increases the sense of accountability. We do, however, know that life happens and things pop up. When this happens we are willing to work with your busy and ever-changing schedules and life scenarios. Your trainer will be empathetic and flexible to your needs and can reschedule as needed. It is also our job as NIFS personal trainers to provide an environment where our residents are comfortable. This entails many aspects. During the exercises themselves, we want to avoid any exercise that causes you pain either during or after your workout. We will ensure a strong line of communication throughout our sessions in order to avoid painful experiences. We also strive to create an environment where you feel comfortable with us as your trainer. For every session and with a smile, we will explain what we will be doing for the day, educate you on our focus and how it helps you, and maintain a positive and encouraging attitude. The most important part of having a trainer is their knowledge and ability to train safely. Falling is a risk, but with a NIFS personal trainer, that risk is always considered and mitigated to the best of our ability. Beyond that, we look for exercises to help reduce this risk, and are right by your side every step of the way. No matter what task you are taking on that day, you can trust that your trainer will be there to help keep you safe. We always look for safer ways to perform exercise and are there in case you stumble. Our number-one priority is to help you safely improve your quality of life and provide the tools for you to succeed. There are a number of misconceptions these days about personal trainers and what it’s like to be one. Don’t all personal trainers have perfect bodies and eat nothing but fruits, vegetables, and protein shakes? Sure, you’ll have a select number of trainers who eat, sleep, and breathe fitness, but the vast majority of us are just normal people. Let’s debunk some of these common myths about personal trainers. We eat healthy foods every day of the week. While most trainers enjoy a nutritious, well-balanced diet, most have no problem mixing in a few splurge meals throughout the week. I personally follow extremely strict nutrition Monday morning through Friday afternoon, and then reward myself with fresh pasta or pizza and breadsticks for a Friday dinner. You better believe I’m getting up early on Saturday morning for a long bout of cardio to put those extra carbs to good use! We love all types of exercise. Variety in your workouts is essential, but any trainer would be lying if they said they love all modes of fitness. Most trainers have been working out long enough to recognize what they enjoy, so they generally stick to those methods of exercise to maintain a healthy weight. The key is understanding your client’s needs, and providing them with a variety of options that work for their likes and dislikes. For example, I have two left feet in Zumba class and feel like I might drown in a pool, but I understand that some clients thrive in a choreographed class or swimming freestyle. We never get hurt. It’s true that trainers should be demonstrating impeccable technique and injury prevention form while exercising. The truth is that even trainers can overdo it with too much weight or too many repetitions. Furthermore, trainers can sometimes feel like Superman or Superwoman and try things outside of traditional exercises that could potentially hurt them. I learned this the hard way recently while thinking I could ski all day for four days straight in Colorado. The second to last day of my vacation I severely tweaked my back, making the long plane ride home almost unbearable. I credit my consistent core training for my quick recovery; however, I learned my lesson that anyone can overdo it. We’ve never had issues with our weight or body. Believe it or not, trainers can be even more self-conscious than their clients. We have problem areas and imperfections. We look in the mirror and wish a certain part of the body was more defined or had less fat. We set such high standards for ourselves; it’s easy to be extra critical of the way we look. Most good trainers can relate to these insecurities and use these feelings to help empathize with clients. Eventually trainers and clients alike have to learn to accept imperfections and embrace the beautiful qualities of their body. Now that you know a little more about what it’s like to be a personal trainer, you can learn more about personal training at NIFS, and even get a free 30-minute assessment. It seems that running injuries are all too common. There have been many research studies done on runners and, each year, as many as 79% of runners are sidelined due to injuries. Here are 5 ways to avoid injuries when running. 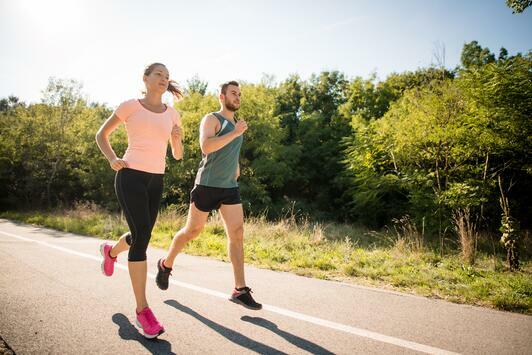 Strong muscles, ligaments, and tendons can guard against the impact of running, lead to improved running form, and help you achieve a more consistent gait. When the body is strong, the brain is able to tell the muscles to brace for impact before your foot even hits the ground. The glutes and the core contract, in order to, steady the pelvis and the leg. The foot and ankle muscles are activated, providing a solid foundation for your heel strike. Many runners lack strength in at least one muscle group. When one stabilizer muscle is weak, the other muscles make accommodations for the weakness and therefore can become overworked. This can create a “domino effect” in the body and cause an injury or injuries. A warm-up prepares the body for exercise, by increasing the heart rate and blood flow to the muscles. Then, just as the warm-up prepares the body, the cool down brings it back to its normal state. The time spent warming up and cooling down helps prevent muscle soreness and aids in recovery, both of which will help prepare the body for your next run. There are many disagreements amongst runners about what defines correct running form. Just as baseball players swing a bat, or a guitarist plays a guitar, there may be some variance in form from runner to runner. But, there is some common ground, and most can agree that certain components of form, such as, good posture and proper stride, can help prevent injury. For proper posture: Be sure to keep the upper torso straight and the head directly over the shoulders. DO NOT arch the lower back. For proper stride: Avoid over-striding, which is when the foot lands well ahead of the knee. Overstriding can put extra wear and tear on the muscles and joints. Try to focus on where your foot is landing and place it close to the body. Instead of reaching with the foot, try to drive forward with the knee. Shoes can alter your running form and have an impact on the amount of force that is applied to the joints with each step. Professional running stores may be a good place to start when trying to find the right shoe for you, but the best indication is how the shoe feels. If it doesn’t feel good, then it’s putting stress somewhere. If you experience aches and pains after a run, it may be a good indication that you’re not in the right shoe. You may need to try a few pairs before you find the right shoe for you. Also, be sure to change your shoes often. Running shoe should be replaced every 350-450 miles. 5. Avoid the terrible "too's"
Don't do too much, too soon, too often, too fast, too hard, with too little rest. Listen to your body and ease into it and rest when needed. If you enjoyed this blog, consider subscribing for more just like it. Click below! 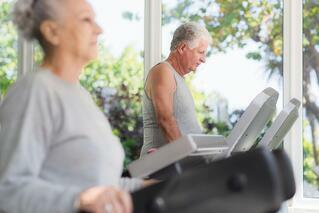 Senior Fitness: What is the point of exercising? As we age, we get this notion that we no longer need to exercise, or as the common adage says, “I’m too old.” To put it bluntly, you are never too old to exercise or be active. No matter your condition, one of the best things you can do is to get up and move. 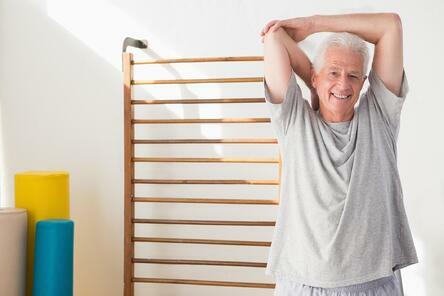 Years of research has shown that exercising has tremendous health benefits, no matter what your age is! Exercising has shown to improve balance and coordination, prevent bone loss, increase strength, improve cognitive function, and decrease chronic illnesses such as diabetes. With this in mind, here are few senior wellness myths that older adults believe when it comes to exercising. What is the point of exercising when decline in old age is inescapable? Aging does not mean decline; it means another chapter in life with new challenges to overcome. There are numerous stories of older adults becoming marathon runners like Ed Whitlock, who ran marathons well into his 80s. While running a marathon may not be your goal, it does show you that age does not matter. The delusion is that aging means weakness and/or fatigue, but in reality it’s a sign of inactivity. More importantly, exercising and staying active can help you maintain your independence and your lifestyle. At my age, is exercise really safe for me? Yes, exercise is safe for you. Again it’s one of the best things you can do for yourself. Moreover, studies have shown that individuals who exercise on a regular basis are less likely to fall. In part this is because exercising improves strength, flexibility, and coordination. Two of the better exercises that target flexibility and coordination are tai chi and yoga. Additionally, exercising frequently will increase bone density and decrease the likelihood of osteoporosis. I have a chronic disease, so I shouldn’t exercise. Apply heat: This will help the blood flow and relax the muscles around the affected area. Move gently: Move slowly to warm up the joints. You may want to do this between 5 and 10 minutes before moving on to strength and aerobic activities. Ice: After performing your exercises, apply ice as needed to help prevent joint swelling. 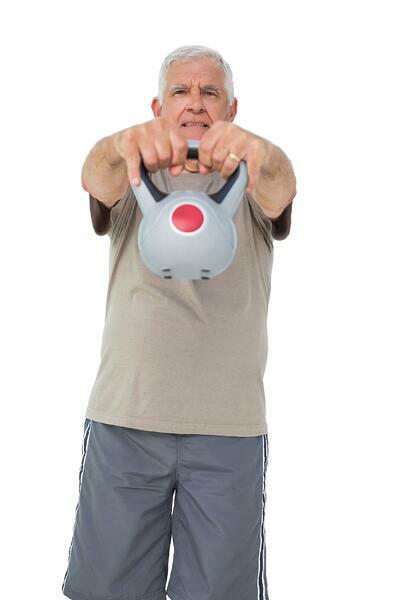 If you are just starting out with senior fitness, make sure not to overdo it. It’s alright to start off slowly and to work your way up in intensity, especially if you have not been exercising for a few years or decades. The goal is to get moving and to create a habit that becomes a lifestyle. Also expect to experience soreness after beginning a program. However if you experience pain, you may have exercised too hard and will want to tone it down. 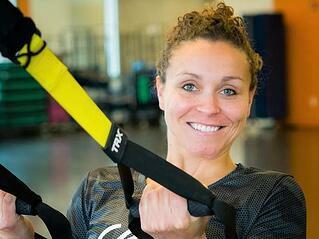 See how we keep our residents coming back to the fitness center with our unique programing. Click below for ideas to improve your programs. Compression stockings are used for a variety of reasons, one of which is to reduce fluid pooling within the lower extremities; and to protect against the potential for developing phlebitis and thrombosis, which can eventually lead to the formation of life-threatening blood clots (deep vein thrombosis, or DVT). Many athletes of all abilities can even be seen wearing compression sleeves and stockings, with the idea that the compression aids in athletic performance. The sensation of swollen ankles is often described as a burning or itching feeling, or even as having your legs feel achy or tired. If you have leakage of fluid from your capillaries and it is not resorbed back into your bloodstream, this may result in the swelling of your ankles or feet. However, if you can increase the pressure in and around the capillaries, it is far more likely that the fluid will be resorbed back into the lymph system and naturally eliminated by the body. When there is less pooling of fluid in the legs, the result is increased blood flow in the legs back up toward the heart. Put your stockings on in the morning. Roll the stocking down and slide it onto your foot to the heel and then roll it up the rest of the leg. Ensure that there are no wrinkles in the stocking after placement, and smooth out any that may have developed while you were rolling it on. Knee-length stockings should come up to two fingers below the bend of the knee. DO NOT stop wearing compression stockings before consulting with your doctor first. Always talk to your doctor about wearing compression stockings first to ensure proper use, and be sure to report any discomfort you may have while wearing them. 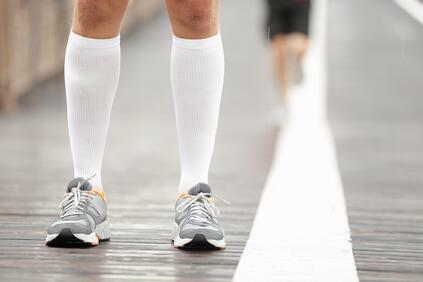 Compression stockings come in a variety of strengths, ranging from light to strong pressure. Compression stockings are graduated in strength, meaning that the greatest compression is found in and around the ankle with the pressure progressively decreasing up and around the calf. The stockings also come in a variety of fun colors and styles. Trained professionals can best size and fit you based on your specific need. For more information, talk to your healthcare professional or visit the manufacturers’ websites (Jobst and Sigvaris). In this third blog, I discuss another guideline. Mobility is the ability to move freely, pain free, and without issue throughout the range of motion of a particular joint. For instance, a client may have an issue getting into the position to do an exercise such as the sit-to-stand. One of the issues I see is related to tight ankles, which is a very common problem. With tight ankles, if the chair is in a low position, the client won't be able to keep their heels on the ground and will shift their weight to the front of the foot, opening the door to a fall or knee injury. To fix this area, I focus on three spots: range-of-motion exercises, stretching exercises (whether it is static or dynamic), and myofascial release exercises. While stretching is important, too much of it may lead to joint laxity, which could lead to injury. Range-of-motion exercises, such as pointing and flexing with the foot, rolling the ankle around in full circles, and even calf raises will move the joint in its full range of motion and warm up the joints and muscles, which will allow for better stretching and injury prevention. Lastly, myofascial release will help loosen up that gristly tissue, which will lead to more mobility, therefore leading to increased performance, less injury, and better results. Obviously, many CCRC residents won't be able to do foam rolling by using a foam roller on the floor, and I certainly don’t recommend that. Therefore, I recommend two tools: a mobility stick, which allows the resident to access problem spots on their own from a comfortable position, and a tennis ball, which is small enough to target certain spots, but not so hard that it may hurt too much, as myofascial release is always a bit uncomfortable. The tennis ball can be used while lying on an elevated mat or exercise table, or even used as a tool to loosen up the upper body by placing the ball on a wall and gently pressing the ball into the problem spot, such as the chest or mid back. While mobility is an issue that affects many areas of the body, lack of ankle mobility is a common problem that I've seen, and you can apply the same mobility principles to many different areas other than the ankles. In my next blog, I give you my sixth and final guideline: Changing exercise variables. This blog was updated on March 22, 2017. Of course, exercise comes with inherent risks. Fortunately, the scientifically proven benefits for regular activity far outweight potential risks for injury. And yet, for older adults, the risk of injury may be more pronounced, as the body is more prone to falls and other injuries from working with machines. So how can staff working with older adults decrease the risk of injury for their clients? Working with the senior population has taught me a great deal about injury prevention and risk that is important in the clientele. For example, not every piece of equipment is safe for every individual, regardless of skill and ability and safety should be the first consideration when determining the needs of each client. Following are tips related to five common pieces of equipment we use with our older adult clients on a regular basis. One of the most commonly prescribed exercises for seniors is walking. It is an activity that can be done every day, and there is evidence to suggest it helps lower blood pressure, reduces stress, and helps maintain lean body mass. For the senior population, it is especially important to make sure each client is safe from falls and injury. Teach clients to look forward at all times, keep the arms swinging normally as they would on a walk around the block, and slowly increase treadmill speed with comfort. For more on treadmill safety, check out this checklist of safety tips for treadmills. An indoor bike and outdoor bike are similar in that they require proper adjusting prior to use. For a recumbent bike, remember to adjust the bike in a good position so that your client's feet are not reaching too far forward when pedaling. Make sure to adjust the back seat (if possible) to support good posture during the ride. 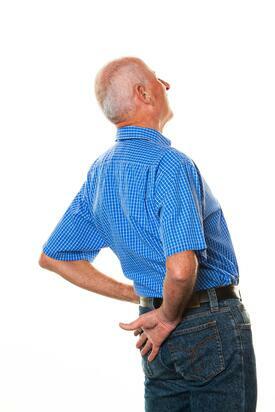 Sometimes it's a challenge to maintain good posture due to aching backs or medical procedures. In that case, make the client as comfortable as possible, shorten the ride, or try another option for cardiovascular exercise. Adjusting the NuStep for clients involves similar steps as noted above for adjusting the bike. Make sure that the client's feet are not reaching too far forward so that while pedaling there is a slight bend in the knee. In addition to these adjustments, consider talking the client through how to set their time and pace to enjoy an individualized ride. The NuStep is one of the safest pieces of equipment for seniors, and it can give a great workout for the upper body, lower body, or a combination of both. Adjusting the weight machines requires a good attention to detail, especially for the senior population. Some machines require adjusting seats, legs, arms, and back rests, and you will also need to adjust the weight stacks. For any senior starting out on exercise machines, it is best to have an exercise specialist adjust the settings for a customized workout. Take care to teach the client how to manage the settings when possible so that you're fostering independence in the workout. However, for many older adults working with selectorized strength equipment is a brand new activity and you may need to work with a client over a few fitness center visits in order to help them feel increasingly comfortable with the workout. Adjusting this machine requires primarily knowing where to place your feet each time you step on it. As a critical aspect in senior fitness, balance training will help work on using both the brain and the body to prevent falls. With a correct adjustment on a balance machine such as the Biodex balance training system, clients will be ready to safely explore this aspect of your training to help prevent and reduce falls. If you're preparing to purchase new equipment for your community fitness center, be sure to download our whitepaper on the key questions to ask during the buying process. Exercise equipment is expense; the whitepaper will help you be a more informed consumer.